Camping stoves today take many forms from compact wood burning wonders that use twigs and dry leaves for fuel to incredibly efficient mountaineering stoves that appear to be little more than a steel box, to the standard – or should we say “classic” – Coleman outdoor stove that has been making the wild more enjoyable for generations as well as everything in between. Some camping stoves do just as well in your outdoor kitchen or on your deck as they do on the trail. While some are large and powerful enough to hold down the fort at the most ambitious tailgate party. Below we’re going to look at the best camping stoves on the market today. These are all top-quality outdoor kit and there’s sure to be one here that will help turn your next outdoor adventure into a garden of gastronomic delights. The Camp Chef Explorer 2 Burner Range is not your average camping stove. It’s made for those large camping expeditions, the kind where the whole family spends a week at the beach or at a campground in the woods. This is the kind of camp stove that can also double as a cookout stove. Put it to work on the deck or patio during your big summer get together and no one will be left waiting for a burger or chicken legs. The Explorer 2 camping burner has a 3 sided windscreen and fully adjustable heat controls and pumps out 60,000 BTUs of cooking power. 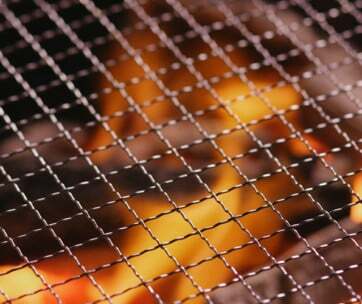 If you’ve ever barbequed for a large group you know how quickly things can grind to a halt if you just have one charcoal driven cooking surface. The Camp Chef Explorer 2 camping stove allows you to take the cookout bull by the horns and keep the food line moving. Heat is totally adjustable, the cooking surface in nearly 3 feet wide and you have the ability to assign different burners to different tasks. The Explorer is perfect for family vacations at the campground, tailgating parties before the game, cookouts at the beach, to augment your outdoor kitchen capabilities or just to keep on the patio for Sunday dinners. Each burner here will kick out 30,000 BTUs of blue flame heat so if you typically find yourself cooking for a large crew this is the camping stove for you. And just in case you’re wavering keep in mind that it’s less than 100 bucks. In recent years lots of common outdoor items have undergone serious re-engineering that’s resulted in them becoming far more efficient and versatile than anyone previously imagined they could be. That includes everything from multi-tools to the mini gas stove. The Etekcity Ultralight Portable Camping Stove is the result of this trend and it’s a perfect example of what can happen when designers stop asking “What does it do?” and start asking “What could it be?” Everything you want and expect from a larger camping stove is here including easy start, dependable action, copious heat and extreme portability. When the legs are unfolded you get a rock solid stance and once you spark up the burner the sky is the culinary limit. Whether you’re camping by the seaside for a week, pursuing big game deep into the wild, hiking the Appalachian Trail or winter camping at the foot of tomorrow’s ice climb you need a camping stove that’s light and portable and dependable. The Etekcity Ultralight Portable Camping Stove is all that and more. If you’re concerned about the environmental impact of your outdoor adventures be aware the Etekcity Ultralight Portable Camping Stove leaves no residue, soot or other debris in its wake. It also comes with its own carrying case that allows you to store it in your pack without worry or to hang it from the exterior on MOLLE straps. The Etekcity camping stove won’t let you down even when the bucks or the weather or the location do. If you’re serious about your outdoor activities you should take a good long look at this state-of-the-art portable camping stove. 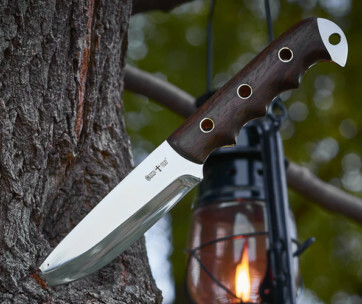 What outdoor lover hasn’t either owned one of these or encountered someone who does? The Coleman Classic Propane camping stove is just that: a classic. It’s been around in more or less the same configuration and at more or less the same affordable price for more years than we care to count and it’s still one of the most popular on the market for a very simple reason: it works. There’s plenty of cooking surface, plenty of heat from the dual burners and plenty of protection from the wind. Just hook up your propane tank and get cooking. There are a few camping essentials everyone is familiar with including the Nalgene bottle, the flashlight and the Coleman stove. This dual burner Coleman camping stove collapses down to a convenient briefcase size package for easy storage and portability. One area where they’ve improved their classic stove in recent years is the PerfectFlow system that regulates propane pressure to ensure you always get a nice even burn and perfect results with your culinary efforts. If you’re into tailgating the Coleman Classic double camping stove is the perfect tool to keep those dogs and burgers coming in the hours leading up to kickoff. Simple, efficient, easy to clean and easily portable. What else do you want in a 2 burner camping stove? Want a lightweight, dependable, ultra-compact camping stove that will keep the hot food coming when ice is forming in your water bottle? The Esbit Ultralight Folding Pocket Stove is here to answer the call. This is not a stove you’re going to use for the summer barbeque but it is a stove you’ll use when you and a friend are engaged in a lengthy hunt and have set up camp in the high country, or when you’ve hiked deep into the woods in wintertime so you can be up with the sun to attack an ice climb. A perfect piece of kit for the serious adventurer. No one is going to swoon over the beauty of the design here. This is a camping stove that’s meant to go wherever you go and set up in seconds, regardless of altitude, locations or weather. 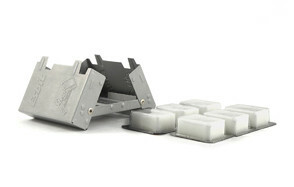 The amazing thing about the Esbit mini camping stove is that it’s as versatile and reliable as it is. The solid fuel tablets burn for about 12 minutes each, which is plenty of time to make some hot drinks and boil water. The tablets are light, just like the stove itself and you can stuff them into the pocket of your tactical pants if you’re so inclined. Any tired mountaineer will be happy to have this camping stove in their pack because with the Esbit camping stove you just open it, place the fuel inside and light it. The Coleman Butane camping stove is the kind of portable gas stove that’s actually a staple in kitchens across Asia and other places where electricity is unreliable or too expensive or gas lines aren’t feasible. It’s easy to use, inexpensive and extremely reliable. It sets up in seconds, provides a nice even flow of heat and the flame is fully adjustable. The Coleman Butane camping stove will easily accommodate a 10” pan and boil a quart of water in just minutes. This butane stove also cleans up easy and folds away nice and tidy. This Coleman Butane camping stove costs way less than a pair of jeans yet it will provide years of reliable service whether you take it to the campground regularly or use it on the deck during your holiday get togethers. It’s amazingly versatile and can be used as everything from a backup burner to help you cook your big Thanksgiving meal to the primary stove in your cabin in the woods to the perfect camp stove whether you’re at the seashore or deep in the woods. Toss in the handsome and uber-convenient carrying case and you have one of the better camping stoves on the market today, even if you don’t use it for camping. The Coleman Powerpack is a portable gas stove that’s versatile enough to be your main camping stove when you’re with the family at Yellowstone, your preferred camping stove when you’re pursuing elk through the Black Hills of South Dakota or the perfect stove to have with you on that epic, cross-country road trip. This mini gas stove features the company’s renowned PerfectFlow system of regulated fuel release that ensures you get a consistent flame every time as well as the company’s PerfectHeat system for ensuring energy efficiency. 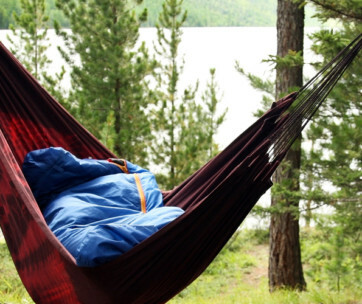 Coleman has been making camping gear of all kinds for more than 100 years and yet they continue to come up with new and innovative ways to approach design and maximize efficiency. The Coleman Powerpack Single-burner Propane Camp Stove is a prime example of this at work. It sports an innovative profile that’s both incredibly minimalist and lightweight as well as being among the most stable single burner camping stoves you’ll find. You’ll get a robust, wind resistant flame that doesn’t fluctuate and you’ll never have to worry about your camping stove blowing over when the wind kicks up. Some may scoff at the idea of placing a 12” pan on this little guy but it can take it; easily. Which is pretty remarkable. As usual with Coleman this dependable, versatile camping stove is also incredibly affordable. The Gas One GS-3000 is another single burner butane stove that is just as at home outdoors as it is indoors. It kicks out 9,000 BTUs of cooking power and uses small butane cylinders rather than bulky propane and comes with a handy carrying case. The GS-3000 camping stove is compatible with skillets or pans up to 10” in diameter which means it’s not out of the question to use it to cook meals for the family if the power has gone out in your neighborhood. You won’t be taking this to the mountaintop but you will want to take it everywhere else. If you’re on a road trip and need to stop for lunch at the rest area don’t just eat day old sandwiches, set up the Gas One GS-3000 Portable camping stove and make a real meal in just a few minutes. If you’re spending a week at your favorite campsite make sure to bring the GS-3000 camping stove along to make memorable outdoor meals. If you’ve got the neighborhood over for a holiday party in the yard set up the GS-3000 and make sure no one’s left waiting for fried chicken. If the power has gone out due to natural disaster keep everyone fed with the GS-3000. Affordable, portable and ready to go even if your matches are soaking wet the GS-3000 from Gas One is more than just a camping stove; it’s a truly portable stove that can handle just about any dish anywhere. The Camplux Portable Outdoor Camping Stove is another single burner butane stove that’s made for indoor and outdoor use. With its piezoelectric, matchless ignition, incredibly stable cooking surface and easy portability it’s the kind of camping stove you’ll be glad you brought along. The Camplux uses butane as opposed to propane which means you’re freed from having to tote around big heavy propane canisters. Between that and the amazing low price you’ll think you died and went to camping heaven with this portable gas stove. The Camplux camping stove does indeed provide you with a kind of camping luxury. It does that by enabling you to look beyond the boring old hot dog-based camp meal toward a wider variety of foods that can be fried, grilled, boiled or even stewed. Soup, pasta, omelets, grilled cheese and tomato and more are all within your reach when you bring the Camplux Portable Outdoor stove with you into the wild. If you’re a professional caterer the Camplux butane camping stove can also be used to prepare hot dishes on site or as a chafing dish to keep foods warm. For about the cost of a good colander you can purchase this amazing portable camping stove and buy yourself years of insurance against the camping food blahs. 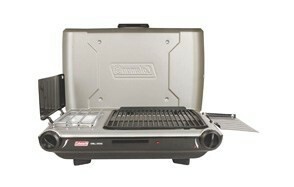 The last Coleman product on our list is the Propane Camping Grill/Stove. This combination large scale stove and 130 square inch grill provides you the versatility you need to keep everyone happy without having to have 2 or 3 cooking surfaces going at once. The unit starts with just the push of a button and with seconds you have 22,000 BTUs of raw cooking energy at your disposal. With the company’s PerfectFlow gas regulation technology in play you don’t have to worry about messing up more temperature sensitive dishes and the entire unit cleans up in just a few minutes regardless of what you were cooking. If you want to maximize your versatility while on vacation this 2-in-1 camping stove and grill from Coleman will provide you with many times the food options a regular stove top alone can. The Propane Camping Grill/Stove+ is not a new idea but it’s handled here with such facility it might seem like Coleman invented the technology. You have total control over the heat on both sides and the unit is one of the most stable table-top camping stoves around. The top acts as an uber-effective wind shield while side trays fold out to hold spoons, spatulas, knives and more. All in all it’s the kind of camping stove you’ll want to bring with you whether you plan on spending 2 weeks in a tent or the summer in the RV. The final entry on our list of best camping stove is the Canway Wood Burning camping stove. This camping stove combines old world sustainability with new world convenience to produce a practical, enjoyable cooking experience. Though the unit itself is small you get an efficient burn of about 20 minutes before it needs to be replenished. You’ll be free of lugging propane or butane tanks into the wild as you can use any available dry leaves, twigs, wood shavings (from carving tent stakes with your hunting knife) waste paper or similar materials to get and keep the Canway camping stove going. Many campers, hikers and hunters are hesitant to carry fuel tanks into the wild with them for a number of reasons, including the weight, the threat of explosion if seriously mishandled and the possibility that an empty tank could be mistakenly left behind polluting the forest. For those people or anyone really who wants a more genuine outdoor experience but doesn’t want to wrestle with cooking directly on a campfire there’s the Canway Wood Burning camping stove. Simply set the stove up at your chosen location, spend a few minutes gathering wood chips, twigs, dry leaves and more, put them into the combustion chamber, put the combustion chamber into the stove and light. There’s nothing like the smell of burning wood to really round out the camping experience and the Canway Wood Burning camping stove provides that as well as an efficient, effective means of cooking food or heating water. The following are some of the most common questions people have when contemplating the purchase of a camping stove. Q: What Are The Different Types Of Camping Stove? A: Camping stoves range from small, single burner, butane driven units to large, dual burner propane stoves or, as we saw above, dual purpose units that can both grill and cook at the same time. Other, ultra-compact camping stoves, are designed specifically for mountaineers who need to minimize the weight they carry. To determine which type of stove is best for you first decide exactly where you’ll be using it and what type of food you intend to cook. If you mostly hop from roadside campsite to roadside campsite weight and size won’t be much of an issue. If, however, you spend long days in the wild pursuing trophy bucks you’ll want to keep both the weight and size of your small camping stove down. Q: How Many Burners Does A Camping Stove Have? A: As we state in the response to the above question most camping stoves have either 1 or 2 burners. Any more would simply make them impractical for use in the outdoors. Keep in mind though that the size of the unit that single burner is attached to will range from just a few inches in diameter to a foot or more as is the case with many a single burner butane stove. Q: What Is The Fuel Type And Capacity For A Camping Stove? A: By their very nature camping stoves are intended to be mobile. Therefore the size of the fuel tank they typically attach to is going to be limited. 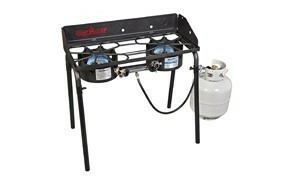 Most will use either a 16 oz propane tank or an 8 oz butane canister. It should be mentioned however that there are some mountaineering stoves that use hexamine tablets – an odorless, residue free, high intensity material that can be easily carried without the user having to worry about transporting combustible gas. Camping stoves make outdoor life easier and far more enjoyable than it ever was in pioneer days. But with the convenience comes certain risks. In order to avoid anyone getting hurt be sure to take the following tips to heart when using a camping stove. If using a gas canister make sure it is properly connected or slotted. Don’t use a camping stove in your RV unless it says it’s safe to do so. Never use a camping stove in your tent. Remember to always detach the propane or butane canister when the outdoor stove is not in use. Always make sure the stove is on a stable, level platform. Make sure all switches and valves are in the ‘off’ position before attaching the gas canister. Never make modifications to the camping stove for any reason. Make sure the stove is cool before detaching the fuel canister. Today’s camping stoves are the epitome of efficient design. They come in a wide variety of sizes and styles and serve a plethora of recreational as well as practical needs. If you are planning an outdoor excursion, camping trip or holiday party make sure you have a high quality camping stove on hand to help facilitate a happy outcome for all. We hope you found the above reviews and information on the modern camping cooker helpful and that it will aid you in making an informed decision when it comes time to buy a new camping stove. Be sure to stop back often for more new product reviews and buying guides from gearhungry.com.